Now click on „Clear cache” at the top right side of window. 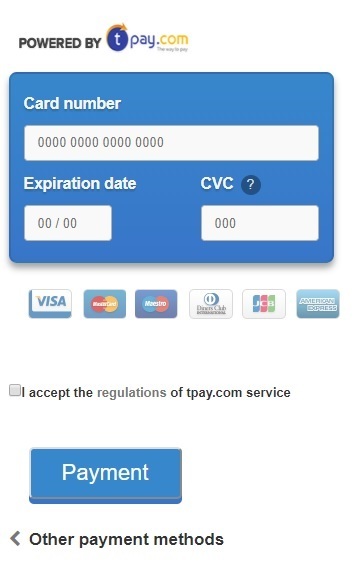 Now create an order, "pay" for it in test mode and see if everything works fine. where „shopaddress.com” should be changed to your shop domain. API key – the generated API key in chapter 2. Verification code – generated verification code. RSA key – The public key generated after checking “securesale” checkbox on chapter 2. Multi-Currency MID type – Determines whether your Elavon MID is EDCC or Multi-Currency type. If your MID is EDCC type, the card gateway will be available only for PLN currency. Hash type – hashing algorithm chosen in merchant panel in chapter 2. Complete the remaining data according to the configuration recommended in the hints. 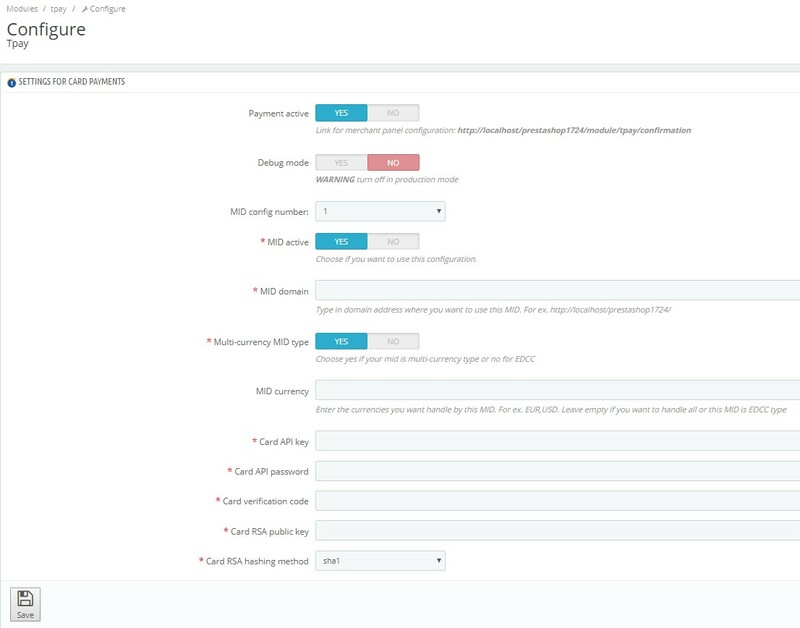 This module allows you to configure up to 10 different accesses. X.pl website has PLN currency, while x.com sells in USD and EUR. 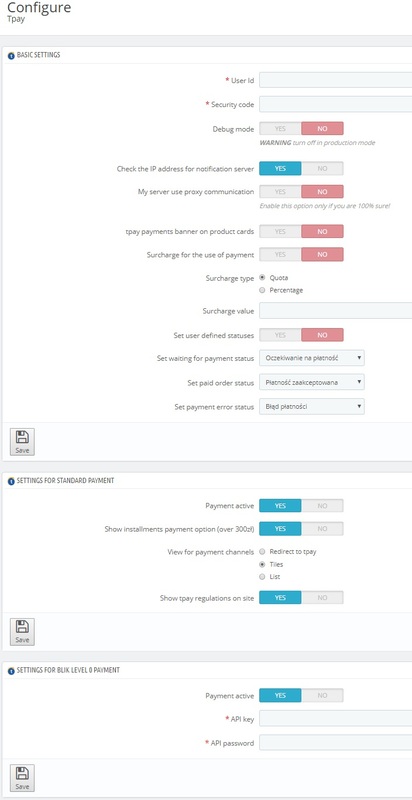 In this case, you can connect first account with EDCC, by unchecking the option "Multi-currency MID type" and entering in the configuration domain https://x.pl/ and second multi-currency account, by selecting the option "Multi-currency MID type", entering the address https: //x.com/. You can add more accounts as further MIDs, if for each currency where the settlement is to be 1:1, ie without currency conversion. Then, in the configuration of each MID, enter the currency to which it is to be used. Please note the / (slash sign) at the end of the address in most cases its addition is necessary to correctly display the payment gateway.